Clear Dew Drops and Rhinestones from The Pretty Little Ribbon Shop. Embossed Paper: Hearts White ep403. 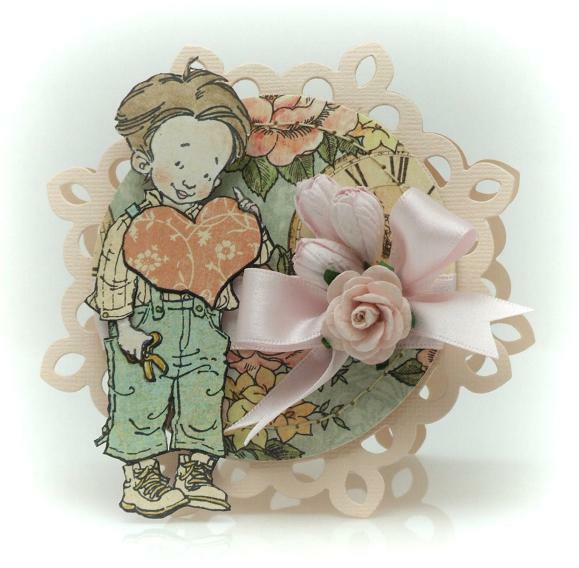 Flowers & Ribbon is the new challenge on The Pretty Little Ribbon blog.